Officials say "Chubbs" lives near the Palmetto course but doesn't bother those who live in the area or play at the course. Those just trying to play a round of golf at one Florida course have to deal with one gigantic hazard – a massive alligator who has begun to call the area home. 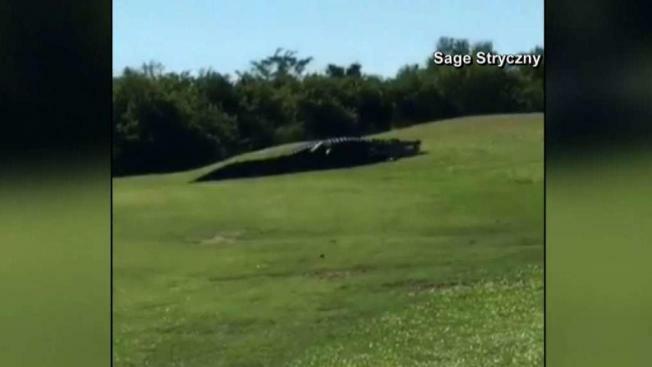 The monster reptile was spotted again over the weekend at the Buffalo Creek Golf Course in Palmetto, located between Sarasota and Tampa. Affectionately called “Chubbs” by those in the area, officials say he has been roaming the course for years and hasn’t bothered any of the humans as he slowly walks. The exact size of Chubbs is unknown – as well as what club he would choose on any of the course’s 18 holes.